Messaging helps smartphone users easily communicate with others. If you do use Android messaging app to send and receive messages everyday, then you will probably encounter the same problem mentioned above. Because text messages can easily get lost/deleted due to certain reasons like wrong deletion, formatting, rooting, update crash, software failure, virus attack and etc. But don’t panic. You have a big chance of getting them back, and what you need is a professional Android Message Recovery tool. There is a number of Android data recovery programs for text messages. 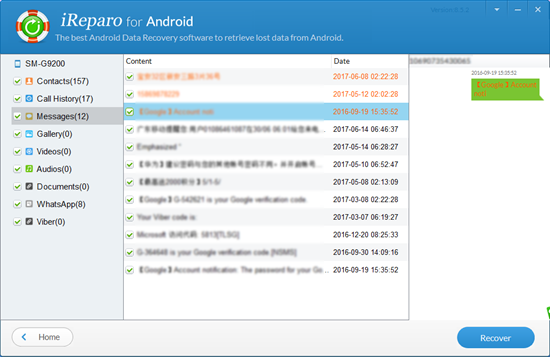 Here I recommend you Jihosoft Android SMS Recovery, which can help you directly recover text messages from both Android phone memory and SD card. All popular Android models are supported, such as Samsung Note 8/S8+, HTC U11+, LG V30, Sony Xperia XZ Premium, Huawei Mate 10, OnePlus 5T, Xiaomi Redmi 5 Plus, and more. In addition to retrieving Android SMS, it also specialized in other Android data recovery like recovering photos, contacts, call logs, videos, audios, WhatsApp chat history, Viber messages and etc. Just download its free trail version and give it a try. Note: You had better not use your Android phone for the moment until you successfully recover the deleted Android text messages. Because the more data is generated and written into your device, the less chance your messages will be retrieved. Run the Android Recovery tool on your Windows/Mac computer. Click “Start” to scan data on your Android device. Preview the recoverable messages in the scan result. 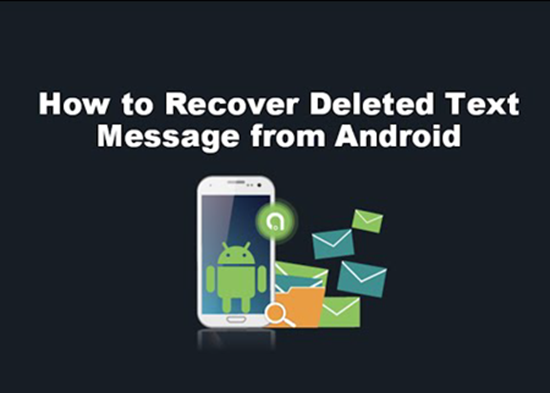 Mark those you need and click the “Recover” button to retrieve deleted text messages from Android. Even though some Android users never delete old messages on their phones, they complain that sometimes they just couldn’t find their old messages. If you also have this issue, you need to check the “Settings” under your messaging app. The stock setting for messages is limited, for example 200. 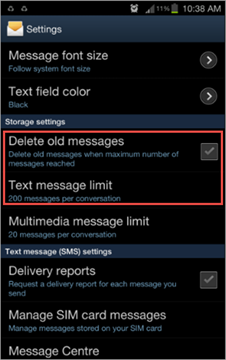 If the number of your messages exceed that limit, the older messages will be deleted or hidden automatically. So what you need to do is to upgrade it to hold more messages or to turn off the “auto delete old messages” option on Android straightforwardly. It is always a great idea to back up your important SMS messages in a safe place, if you have had enough of losing important messages on your Android. Here is a tool called Android Phone Manager, which works perfectly to transfer and backup SMS from Android phone to PC. Also, this program provides you an easy way to view, edit, or print out text messages on Android.